Prices slashed on 13 items, but have you and I benefitted? It’s three weeks since the government introduced price reductions in its interim budget on fuel, gas, milk powder and other selected items, but benefits from some of these cuts are yet to trickle down to the people due to a range of reasons, a survey in the market revealed. Some of the benefits, including that of the reduction of fuel are yet to seep down to the users of three-wheelers, parents who send their children by school vans or those using office transport services. Private and state-run bus commuters say they have benefitted from the bus fare reduction, but quickly add that due to the non-availability of coins, bus conductors do not give them the balance and therefore at times deprived of the benefit. The cabinet this week conceded that the benefits of the tax reductions in the selected 13 items were not being passed on to the public. “The government has decided to gazette the 13 items so that the price reduction will reach the public and the Consumer Affairs Authority can take action on errant traders,” the Authority’s Director General J.M.A. Douglas told the Sunday Times. But officials say that the mechanism to introduce price controls is not the only solution to pass on the benefits of the tax reduction to the public. “Though the prices of flour, sugar and milk powder were reduced, only the price of bread has come down by five rupees. 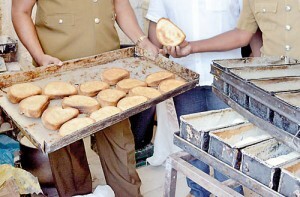 Other bakery products still remain the same while in almost all the restaurants a cup of tea sells at Rs 35 to 40. 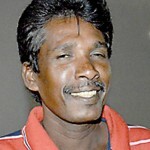 Nothing much has changed,” Mohamed Imran of Mattakkuliya told the Sunday Times. However, he said, that the reduction of the price of bread by Rs five was benefiting the public as most people in the city consume bread. The Bakery Owners’ Association in a vague appeal asked its members to reduce the price of bakery products by at least one rupee but have now claimed that they have run into a new problem similar to that of bus conductors – the non-availability of coins. “Most of our members say that due to this problem they cannot reduce an item by two or three rupees and instead will be forced to reduce it by about five rupees to keep the prices at a round figure. 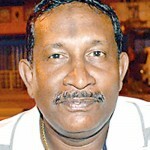 They have a point,” says Bakery Owners’ Association President N.K.Jayawardena. He said if a drastic reduction needs to be done the tax of 13 per cent on bakeries would have to be taken off and taxes on some of the products such as margarine be reduced. The benefit of the reduction of gas prices and fuel prices also are yet to reach people who have their daily meals in restaurants or buy lunch packets on a regular basis. Restaurant owners and those who are involved in the business of lunch packets have come up with a range of excuses. 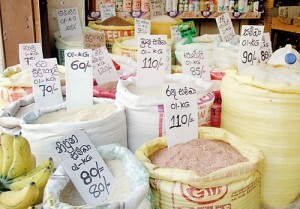 “We have been paying high pricse for rice and vegetables in the past few months and therefore are unable to reduce the prices,” Methsiri Jayananda, a restaurant owner in Peliyagoda told the Sunday Times. 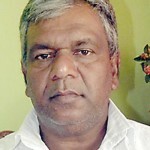 He said that Samba was selling at more than Rs 80 a kilogram and vegetable prices were high during the past few months. “There was a time when beans and carrot were sold at over Rs 300 a kilo and all other vegetables selling over Rs 200 per kilogram. Yet we could not increase the price of our lunch served at the restaurant,” he said. “We will have to cover our losses of the past few months, before we consider any price reduction. Yet the prices of rice is still high and we do not see any reduction,” he said. 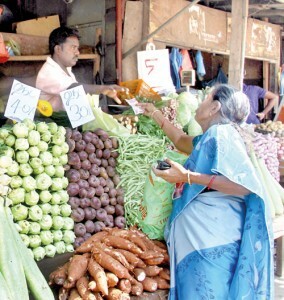 However, a vegetable trader in Pettah, V.Suresh told the Sunday Times that vegetable prices, mainly those coming from Nuwara Eliya were now on the decline compared to the past two months and the prices were expected to further reduce. A cross section of the public said they believe that the government’s plans to reduce prices will not be the only solution, but they should be able to find the mechanism also to ensure that the benefits reach the public. “If the government reduces taxes and it does not reach the public there is no benefit to the average man. For instance two of my children travel by school van from Kandana and transport charges remain the same. They even charge us for the school holiday periods,” Edward Fernando pointed out. National organiser of the All Island Canteen Owners’ Association, Asela Sampath said the government should develop a mechanism to ensure that the people benefited from the relief given through the budget. “The government can introduce a system where they can put up a sticker at the restaurants which offer food items at reduced rates keeping with the budget concessions,” he said adding that though the price of canned fish was reduced in the budget, only the prices of locally produced tin-fish products had come down. He said as canteen owners they were unable to take a collective decision as some of the canteen owners were not representatives of their organisation. 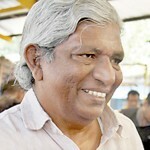 Internal Transport Minister Ranjith Madduma Bandara conceded that the full benefit of reducing bus fares had not reached the public due to the issue of non-availability of coins. “We hope to promote the pre-paid travel card so that passengers gain the full benefit,” he said. He said discussions were held with a three-wheeler association but it appeared that there are many who are not affiliated to any association. 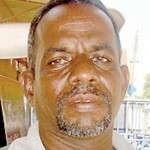 “We hope to introduce an act in Parliament so that at least meter taxi fares are regulated,” he said. However, All Island Three Wheel Drivers’ Association president Lalith Dharmasekara told the Sunday Times that the government should introduce a mechanism to control prices. “Currently some of the meter taxies operate on the basis of the first kilometre at Rs 50 and thereafter each kilometre at Rs 32 while others charge Rs 35, Rs 40 or even Rs 45. Some do not have a fixed charge. Therefore there should be a proper system to control the fares. “The best solution would be to make the meter compulsory and get the threewheelers to display the rates so that the passenger has a choice,” he said. The special relief that was promised in the interim budget by way of a waiver on interest for people who had pawned jewellery, has not been implemented, aggrieved parties said. The Finance Minister had announced that the interest payments on pawned jewellery to a value not exceeding Rs. 200,000 held at state banks would be waived as a special relief. But those who have sought this relief said that the banks had made no arrangements so far to facilitate this. 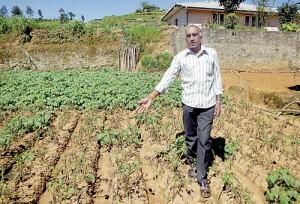 The frost conditions experienced this week in Nuwara Eliya will once again impact on the price of vegetables, farmers in the area warn. A. Vanigabadu (58), a farmer from Kandaploa complained that a low harvest and an exorbitant price was a bad combination for them as well as for the consumers. “It is ironical that one can buy a kilo of chicken for the price of a kilo of leeks,” he said. Kumara Senanayake, president of the “Govishakti” development foundation in Nuwara Eliya, said in addition to the weather other reasons too had led to this crisis. He said low prices, and rumours that the Nuwara Eliya farmers used excessive pesticide had resulted in 2013-2014 being a bad year for them. He said many gave up farming which affected the harvest as did the weather conditions. Meanwhile, vegetable prices were still high with a kilo of carrot at 140, a kilo of cabbages at 75 and beetroot at 45 and potato at 85. However the prices were down in comparison with prices last month. “The benefits of the budget are now gradually reaching the people. In time to come we will further benefit. As a vehicle owner I feel the positive effect of the reduction of fuel prices. In a similar manner the people have got relief from the price reductions. “We have to admit that prices of certain items have been reduced. However, a number of essential items still remain beyond our budget. We are happy that prices of certain brands of milk powder have been reduced. It may be necessary to reduce prices of dhal and other essentials as well”. He said flying squads from the Consumer Affairs Authority should visit villages as well as towns. “The recent price reduction on essential goods has reached the poor people in the district and there is hope among them that their living standards can be improved in future. The price of milk powder packets have come down significantly. This had a real impact on poor people”.